It is easy to forget what a valuable asset your domain name can be. With an increasing scarcity of good names and an entire market built around the purchase and inflation of expired domains, risking expiration is a costly game. 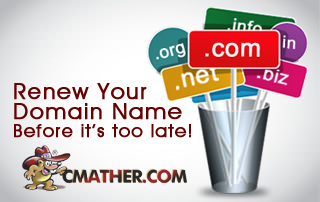 Don’t risk losing your domain name by missing the domain name expiration. Renew early for multiple years to protect your marketing brands.